Cash Bingo - Auxiliary to the Mt. Airy Vol. 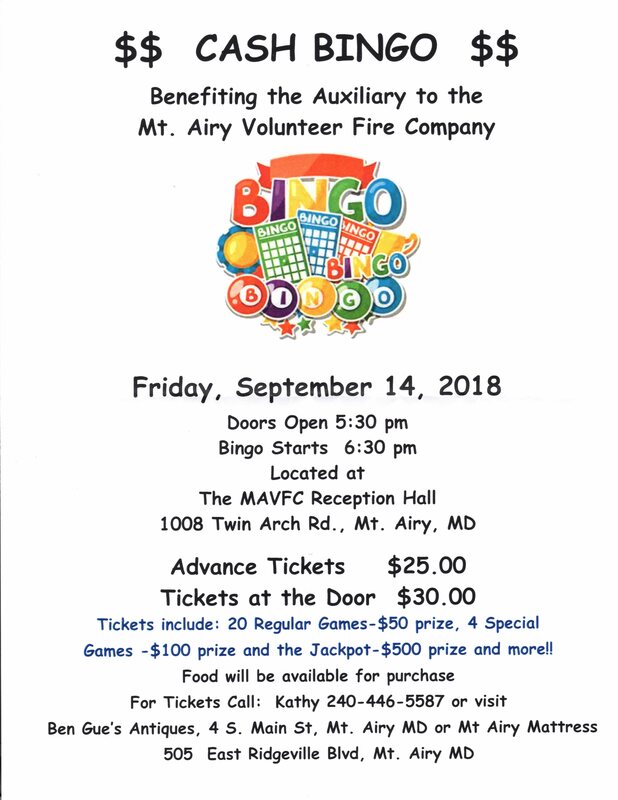 Fire Co.
Tickets include 20 regular games - $50 prize; 4 special games - $100 prize and the Jackpot - $500 prize Food will be available for purchase!